All of you are aware that our Federation had taken up with the management for the improvements in the existing transfer norms. After several rounds of discussion with the management, most of the norms suggested by our Federation are now reintroduced. Notable among them is the reintroduction of inter region request transfers for all the officers up to Scale-III. the Scale-I officers are only in the supportive role, the interpretation of the management is not acceptable to us. Contrary to the decision of the management, Some of the field functionaries are transferring the officers on frequent intervals without adhering to the transfer norms. 2. Clubbing of fast track and written test channel in to written test channel in respect of Scale-I to II promotions. 3. Reintroduction of the facility to the officers whose stay in the zone is less than 3 years, may be retained on promotion in the same zone. 4. Preference in request transfer of lady officers, who got married after promotion/appointment in the Bank now extended to S-II and III also. Friends, only our FEDERATION being the majority officer organization can provide full protection and best available service conditions to the officers of our Bank. 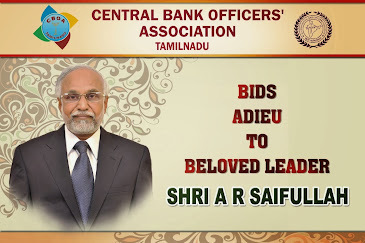 The UFBU meeting held on 4th July 2013 at Chennai deliberated at length, apart from the issues being confronted by the bank employees and officers, the developments at National level and its likely impact on Banking Industry. It was noted with serious concern the delay in wage revision negotiations and the lack of seriousness on the part of IBA in taking up the issues raised by the Unions in the charter of demands. Despite three rounds of discussions on different dates, the progress s sluggish. The meeting decided to impress upon IBA to have serious and meaningful negotiations on the issues with an intention to have an early conclusion to the wage settlement. The UFBU has expressed its equal concern at alarmingly growing NPA’s affecting the Bank’s profitability, as well as the manner in which various concessions are being extended to willful defaulters despite their having capacity to repay the loans. about the dangers lurked in the form of Private Banks. 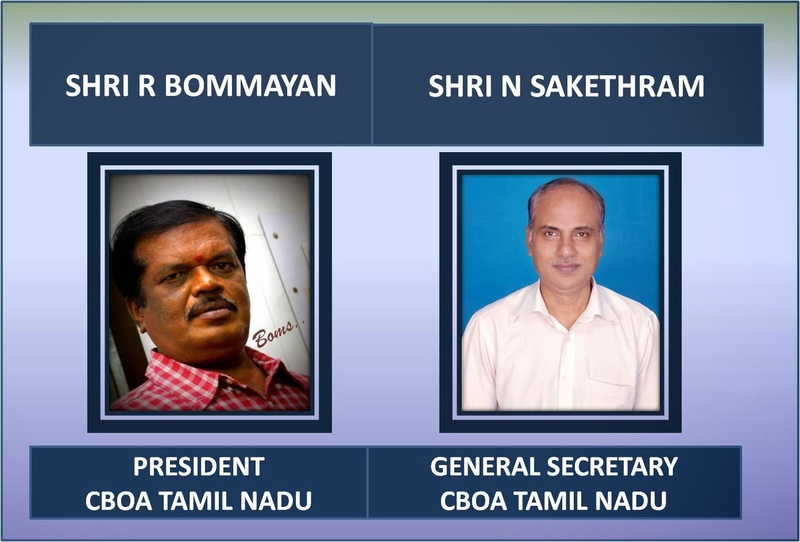 Sri.M.V.MURALI, General Secretary of NCBE and Sri.K.K.NAIR, General Secretary of INBOC was co-opted as new CONVENOR and CHAIRMAN of UFBU respectively. A SWEET RELATION IS NOT LIKE “RAIN” WHICH COMES & GOES AWAY.